Step right up to the all- Honda Civic. This beautiful car has been ten generations in the making and now you can explore the newest iteration of one of America's favorite cars at Brandon Honda. 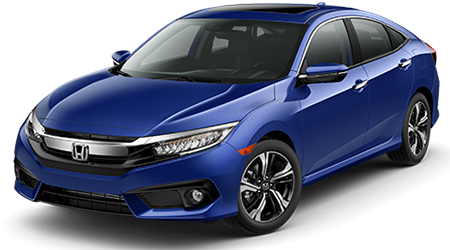 Our Tampa, FL Honda dealership has a wide selection of new Civic models in stock and ready for you to test drive. Brandon Honda will help you find a great new Honda for sale in Tampa Bay and you will have an amazing dealership experience. Come fall in love with the Civic and you will want to drive one home tonight! The 2016 Honda Civic is an amazing vehicle in both its sedan and coupe forms, and the Kia Forte is struggling to keep up with this iconic car. The Honda Civic might be small, but it still offers an amazing amount of cabin space in both the sedan and coupe models. For this comparison, we will look at the Civic sedan. The total passenger volume in the 2016 Civic is 97.8 cubic feet, in the Kia Forte its 96.2 cubic feet. A small margin, but the Civic uses its interior space much more wisely in order to keep passengers comfy. In the Civic, there is more leg room in the rear seats and more headroom in the front seats than in the Forte. The rear seat of the Civic is also wider than the rear seat in the Kia Forte. Banish back-seat bickering and get the 2016 Honda Civic. Under the sculpted hood of the 2016 Civic, you will find either a 2.0-liter four-cylinder or a 1.5-liter turbocharged four-cylinder engine. The 2.0-liter powerplant is capable of 158 horsepower and the 1.5-liter engine makes 174 horsepower. The Kia Forte also features two engines; a 1.8-liter I4 and a 2.0-liter I4 - both naturally aspirated. 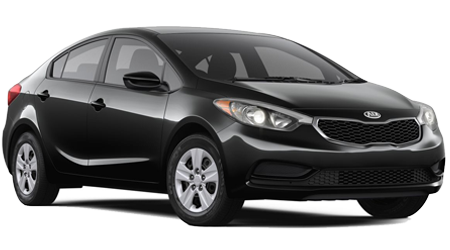 The 1.8-liter engine in the Forte makes 145 horsepower while the 2.0-liter makes 173 horsepower. 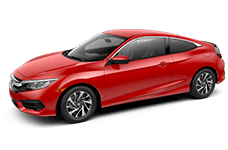 The engines in the 2016 Honda Civic are more powerful, and you also have the option for a turbocharger, a first for the Civic, that the Forte still lacks. The Civic earned a `Superior' grade for its front-end crash mitigation systems (available as options on all trims, standard on Touring models). The Kia Forte did not earn any safety designations from the IIHS because it scored a `Marginal' in the small-front overlap crash test. The Kia Forte also does not offer any sort of crash mitigation systems. The Civic is the clear winner here. 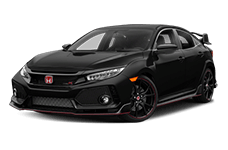 Come to Brandon Honda in Tampa, FL and check out the all- Honda Civic. This impressive compact vehicle will awaken your love for driving and your passion for the open road. Visit us today from anywhere in the greater Tampa area for your next new car.